Who chooses the ascent on foot, goes from the small group of houses "Mühl" near the fun park in Huben on a trail directly to Breitlehnalm. From the pasture, a path leads into the entrance of the grazing high valley and ascends at a steady slope until you reach the bottom filled with boulders and rocks. From the Breitlehnjoch you can look for the first time at the characteristic Kaunergrat (Watzespitze, Verweilspitze ...). An overall picture that always amazes you. 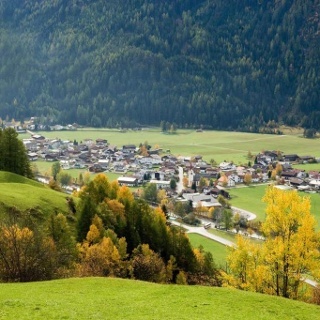 The climb to the Kapuzinerjöchl takes all the attention. After crossing a scree slope, small bends through rocky terrain lead very steeply to the yoke. By the Rötenkar first down and on the opposite hand is up to the viewpoint Gahwinden. 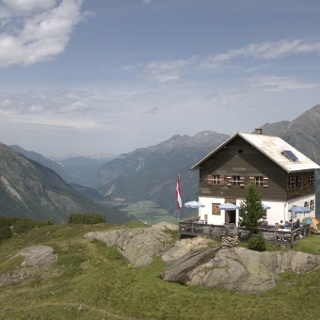 The Rüsselsheimer hut (about 45 minutes away) can already be seen. 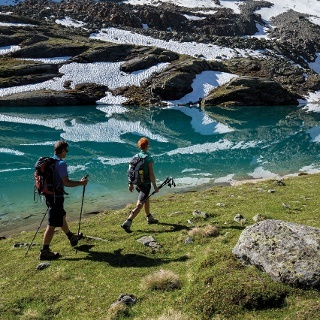 During the descent into the Pitztal to the parking lot between the white forest and Plangeross, one is accompanied by the sight of the idiosyncratic rock forms of the Kaunergratberge. In 2001, the former New Chemnitz Hut was renamed Rüsselsheimer Hütte. 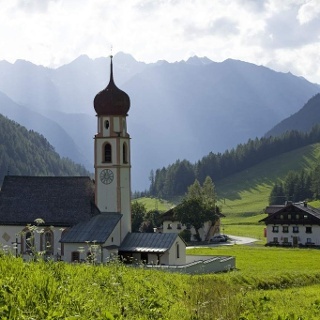 The important base in the middle part of the Geigenkamm Höhenweg is not only epic because of its location and its wildlife, but also in culinary terms. For example, you can enjoy delicacies from Capricorn here. Due to the long walking time, the driveway to Breitlehnalm with the hut taxis makes sense. 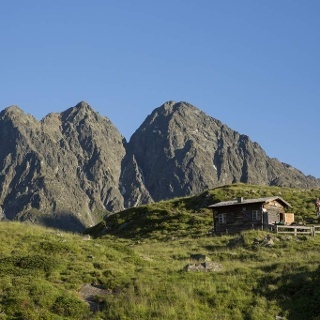 If one walks from Huben on foot, an overnight stay on the Rüsselsheimer hut is to be recommended. The way back to the starting point can be done by bus via Imst. The ascent to Breitlehnalm via a hiking trail which leads through dense forest. From the pasture, it goes through meadows at the beginning. The path is getting steeper and rougher. A rubble slope leads up to Breitlehnjoch. 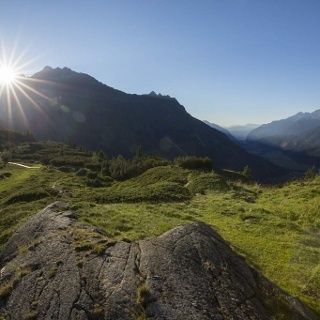 The climb to the Kapuzinerjöchl is cable insured and requires all the attention. Through the Rötenkar you descend to take on the opposite slope again the rise to the lookout point Gahwinden. The Rüsselsheim hut is already visible. 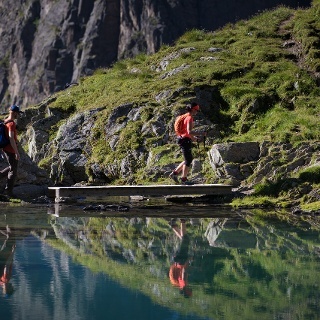 The descent into the Pitztal runs on a well walkable path.